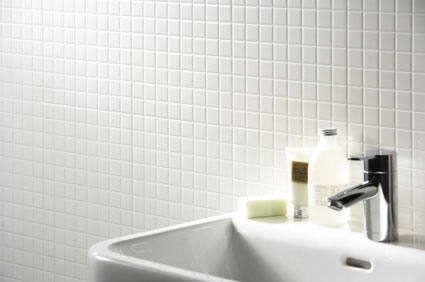 These classic white mosaic tiles are ideal for creating a clean, simple look in your home with a classic visual impact. Price is available to registered users only. Register! Welcome to TradeTiles.ie. We have been supplying tiles, tiling adhesives & accessories and related flooring products to the building, tiling and flooring industries throughout Ireland for over 15 years. TradeTiles.ie is a TRADE ONLY website and all members must be in building, tiling or flooring industries to purchase tiles from this website. Substantial Tile Stocks are held in our Dublin Central Warehouse, ensuring our entire operation is geared towards meeting the most demanding tiling schedules schedules. Tile Deliveries are made nationwide with 48 Hours and can be made straight to site - Tile Collections can be made from our Park West, Dublin 12 warehouse within 4 Hours of ordering. TradeTiles.ie is a Trade only company which supplies tiles, tile adhesive and related accessories to the building, tiling and flooring trades. We do not and will not supply the public through this website but we do offer theese tiling products at very competitive retail prices on our sister website www.tilesdirect.ie. We sell first choice high quality tiles at competitive prices. As well as your trade prices, further discounts are available for buying in bulk and these are clearly on each product. We only sell top quality adhesives and levelling compounds and are the Irish Agents for Tilemaster Adhesives, the fastest growing and most innovative Powder Adhesive and levelling compound company in the UK. Through our partnership with Tilemaster Adhesives we are happy to provide written specification for any of your tiling or flooring projects . 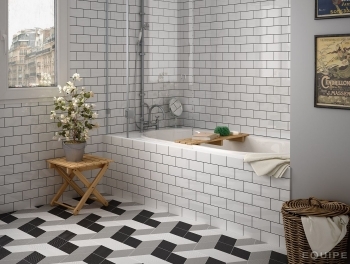 We also provide a full range of tiling trims and floor profiles both in standard aluminum and PVC as well as technical stainless steel and brass. We provide the most comprehensive range of cement boards, wet room shower formers, tanking kits and under floor heating mats. All prices quoted on the website exclude VAT and Delivery Charges - these are added at he end of the checkout process. Collections can also be made from our Parkwest Warehouse- However this is subject to telephone confirmation - Please do not arrive at the warehouse without telephone confirmation that your order is ready for collection as you will be turned away. All goods must be ordered and paid for online. This website places cookies on your computer to give you the very best user experience. Without them our site would not function correctly. By using our website you accept the use of these cookies. To find out more about what cookies are and how to remove them, please click here.